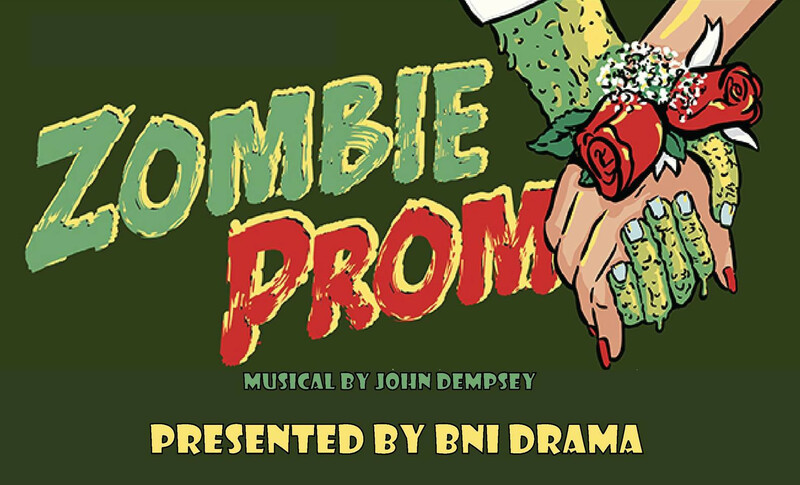 Bishop Noll Institute will present the musical comedy "Zombie Prom" April 12-14 in the school auditorium. Set in the ‘50s, "Zombie Prom" tells the tale of a sweet teenage girl named Toffee, played by Jilsuri Hernandez, of Hammond, and her “rebel without a cause” boyfriend Jonny, played by Michael Gee, of Chicago's Hegewisch neighborhood. Family pressure forces Toffee to end the romance, and Jonny charges off on his motorcycle to the nuclear waste dump. He returns as a glowing zombie and determined to reclaim Toffee's heart. He still wants to graduate, but most of all, he wants to take Toffee to the prom. Principal Delilah Strict, played by Kameron Green, of Hammond, orders him to drop dead while scandal reporter Eddie Flagrante, played by John Wea, of Hammond, seizes on him as the freak du jour. History comes to his rescue while a tuneful selection of original songs in the style of '50s hits keeps the action rocking across the stage. The supporting cast includes Kamari Belcher, of Hammond, as Candy; Yessenia Roman, of East Chicago, as Ginger; Ruby Meza, of East Chicago, as Coco; Hayden Kammer, of Schererville, as Jake; Matt Mabry, of Hammond, as Joey; Isaiah Rivera, of East Chicago, as Josh; and Maria Reyes, of East Chicago, as Ramona. Show times are 7:30 p.m. April 12 and 13 and 2:30 p.m. April 14. 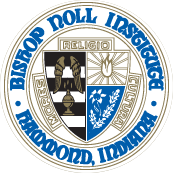 For more information, email kjones@bishopnoll.org.